Artist Statement: My art is a visual and tactile response to the awe and wonder I find in the natural world. I want to create a sense of tranquility and peace that brings the viewer closer to the beauty of nature in all its colors, shapes, movements and power. Bio: Pat grew up in southern California where she graduated from California State University, Northridge with a Bachelor of Arts. 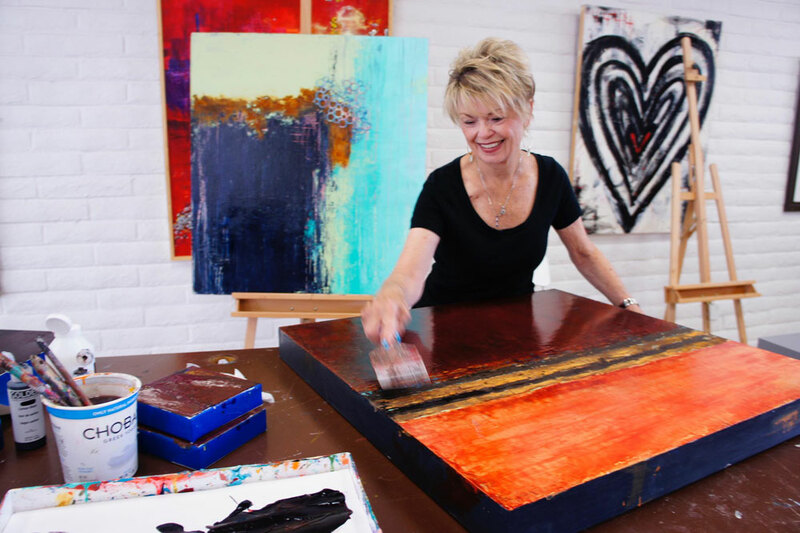 As the wife of a Marine Corps officer, she traveled and lived in many interesting and beautiful locations which have been inspirations for her paintings. She now lives in San Diego, California where she is active in several art organizations.